If you have a vegetable garden then you know that can you lose quite a bit of the harvest to pests every year, this is why people have adopted different methods of pest control. 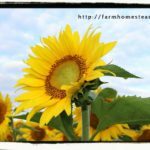 You can grow a chemical free vegetable garden! Plants which have been cared for in healthy soil will resist pests on their own. Good soil, water and care are necessary for growing healthy plants. First you’ll want to choose plants for your garden that have a natural resistance to pests. Can we hear it often enough? Compost… it does a a garden good. You don’t need lots and lots of compost. A light dusting is all you need; too much and you run into nutrient imbalances. It’s the regular application of a little compost that works best. So a certain amount of compost is important. Next, and just as important, is good mulch. Watch how things work in the natural world. The soil is always “covered”. Leaves, cut grass, straw. 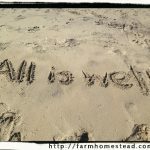 Most soils don’t have enough “plant food”, and even when you are lucky enough to have a very fertile soil, the odds are against them being in the appropriate ratios to most advantageously support plant health. The best part is, you don’t need much in the way of “fertilizer” – just a little to fine tune the soil network. Remember, we are talking optimum soil health for optimum pest resistance. A good example is blossom end rot in tomatoes… caused by a “calcium deficiency”. You may run a soil test and discover that you have plenty of calcium in your soil… But because many soils have too much magnesium in relation to calcium, and too much phosphorus in relation to potassium (both of which cause many of our common garden problems such as soil compaction, plant sickness and pests) there is imbalance. 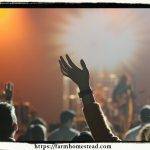 Then comes all of the micronutrients – boron, zinc, copper and many others, over 80 in the list!And while only tiny amounts of all of them are necessary, they have very important roles to play in soil fertility. Molasses is an awesomely affordable source of these micronutrients. Kelp, fish emulsion, green sand are also options. Don’t forget about microorganisms. They are vital for the health of our soil and for growing nutrient dense food. Good, quality compost is the best for this, but there are also many benefits from using compost tea and adding a start of mycorrhizal fungi. There are many available plants which can withstand the usual diseases a garden faces, but there are fewer varieties that can stand up to pests. One way to prevent pests is to only grow plants from newly purchased seeds, don’t save old seeds to be re-used in a new garden unless you are certain they are disease free. Most diseases will take root in the seeds. Buy new seeds to prevent disease, make sure you go to a seller who deals in high quality, pest resistant seeds. When transplanting, you should only use seedlings which are healthy and strong. If they are weak and spindly, or too old or too young, they may not recover from the shock of transplanting and they are then more susceptible to attacks by pests. pledge to be pesticide free! Every year, you should rotate the vegetables in your garden so that you are not growing the same things in the same spots year after year. This is a very effective and simple way of avoiding diseases that are lying dormant in the soil. Corn is excellent as a crop that can be alternated. Following corn with cole crops such as broccoli, cabbage, and greens, cole crops with solanaceous crops such as potatoes, peppers, and tomatoes, and solanaceous crops with legumes such as beans or peas, then legumes with corn again, is an intelligent four year rotation plan that you might go with. If you follow these methods and keep your garden clear of infested crop debris, cull piles, volunteer plants and other waste you will boost the natural pest-control of your garden. It is not a good practice to save plant residues for mulching as many pests are able to survive in the residue. If you use mulch, make sure it comes from leaves, wood chips, and straw. 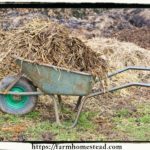 Mulch is useful for keeping the ground moist and preventing weeds, but it has one major drawback that you should keep in mind. Many insects love to hide and live in mulch and they can attack your plants before you even know that they’re there. Good sanitation will also keep your vegetable garden disease free. Always make sure to work with clean hands when you are handling plants, such as during transplantation or pruning. The importance of this is magnified more so if you are working with tobacco. Tobacco is known to carry many deadly viruses like tobacco mosaic. Garden pests could also easily be hiding in weeds. It’s best to keep your garden and the area around your garden free of weeds. Weeds can carry nematodes, mites, beetles, leafhoppers, aphids, and other insects, and these pests not only damage the plants but can also transmit plant diseases. It’s crucial to maintain a weed-free area around your garden, especially if the area is home to any Johnson grass. Johnson grass is notorious for harboring insects, so get rid of it. You’ll also want to control the levels of moisture in your garden in order to avoid harmful pests. You should water early in the day to help control plant diseases. If you water early in the morning, you might be able to avoid using powerful fungicides. Watering at night is especially harmful because the plants remain moist longer, this can create a fungus invasion especially since fungus flourishes in warm, wet places. Putting some sort of barrier or shield around transplants is another effective means of keeping some types of insects away. Milk jugs, shingles, and even cardboard can serve as an effective shield. Bury them a few inches underground. This barrier technique will help save transplants like tomatoes and peppers from nasty things like grubs and cutworms which love to attack the plant from just below the surface. You can effectively use biological methods like predatory insects, though it’s usually not advisable to artificially introduce these insects. However, there are helpful predators that you should learn to recognize. This will allow you to leave them alone if you see some in your garden. These include the praying mantis, ladybugs, lacewings, ground beetles, spiders and syrphid flies. If, despite all of your best efforts, these natural methods aren’t keeping pests away you may consider a natural insecticide. 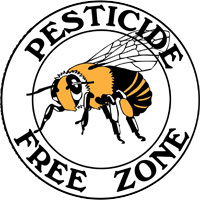 Pledge to be Pesticide Free Click on the Bee!